Ten Ton Hammer | SMITE Launches Escape from the Underworld! SMITE Launches Escape from the Underworld! SMITE’s Escape from the Underworld event kicked off today, featuring brand new game mechanics and new skins! "During the Escape From The Underworld event, there will be a series of three quests that will guide you to freedom. Each quest will run for a limited time during the event. Complete quests to earn Limited items that will help unlock the Underworld Collection Bonus more easily – don’t miss out! Items available through quests include the Trapped Icon, Music Theme, and Escape Icon." 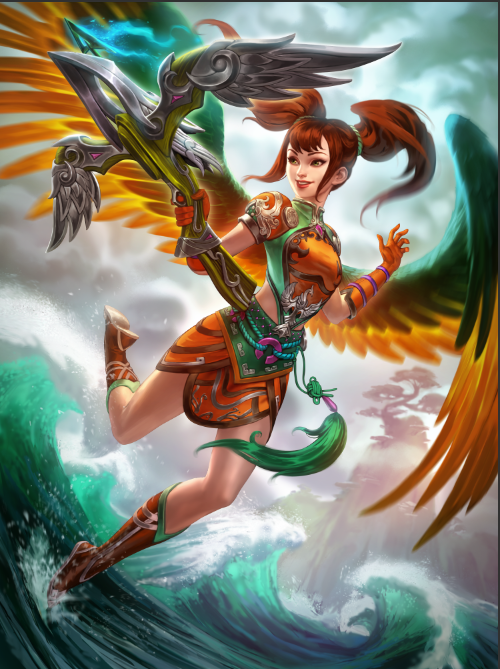 I've also got 1000 codes to give away for the new goddess, Jing Wei as well as her Reborn skin (seen below). Stay tuned for that, as it'll be going up in a seperate node very soon! Head over to the official SMITE website for more details.